Hey, I just want to thank you for this great website! It really helped me score higher in my writing part in IELTS exam! I was at 6 and after following your IELTS lessons I managed to score 7 (7.5 overall). So, BIG thank you for this incredible website and for the outstanding quality of the resources posted here. 2. Also when you're preparing for the writing part try to get used to finishing the 1st part in 15 minutes (instead of 20) and the second part in 35 minutes (instead of 40). This way you'll have 10 minutes to check the work - it really helped me. For the reading part - you must read a lot (anything if you can) in English for at least 2-3 weeks before the exam. For the listening part try to listen to BBC 5 live (or any other radio broadcast in full English) for at least 2-3 weeks before the exam. hear a wide range of accents. Also don't focus on understanding everything you hear - just listen. For the speaking part -> first of all you must speak to somebody (or to yourself) in the last 2 weeks before the exam. Concentrate on finding some answers to a wide range of problems (ecology, environment, work, school, entertainment, technology, sport, music, literature, family) but do not memorize the answers! Just practice with them in order to have some ideas to speak of when you'll be facing the examiner. Also, the best advice that I could think of for the speaking part is: do not focus on grammar or accent or pronunciation -> just speak fluently - a few grammar mistakes are always allowed - the examiner will be looking for fluency and coherence (so try to stick to the subject - do not deviate because you'll lose points even if you'll be very fluent). 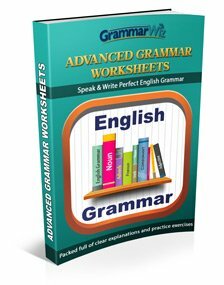 However, if you want scores over 6 you'll need a wide range of grammar usage and good control over sentences. For the speaking part try to remember the ABS: Always Be Speaking - don't ever give short answers -> let your ideas evolve and try to use complex answers - for example if the examiner asks you if you like to live in your city don't just say "Yes, i do" but more like "Yes it is a beautiful city, noisy, full of life and cultural events and therefore I love living in the big city. I fancy the Opera every Friday evening". That's it! Hope these IELTS test tips will make the difference to somebody and once again a BIG thank You for this website!! I am one of those who try to get the band score 7,5 overall at the exam on 19 march 2016. In my opinion that exam was very difficult and different from all that I already read here not because of time but a lot of pressure and emotions that faced on candidates. I think that it is very difficult because all seemed very short time to write and think and at listening I have impression that was a bit quick than that I was already accustomed. Regarding the others tasks the easier for me was speaking followed by writing and reading. Conclusion - If you want to get a high band prepare systematically yourself with at least six months before the exam. It is an advice only. This exam was harder and I am sure that no one could get better results if wasn't very well informed. And another advice would be to make more essays with a timer clock to finish your writing in time. Thanks for the great opportunity that I had to learn from this site and I could realize that without that site I wouldn't have had the foggiest idea what Ielts means! thanks for sharing useful IELTS test tips! your tips about speaking are very handy! Hello My name is Shaxzod and I come from Uzbekistan.I know most of you do not know about this country. So, to begin with my writing skill is not good enough and I have not $ to buy this "eBook". I read 2-3 Task 2 samples a day. However, It has not made a difference yet. What would you advise me? I would advise a lot of practice in all areas and follow the basic instructions given in most of the sources online. For Speaking - Try and use Smart words and try to answer what the examiner asks you but not in 1 or 2 words. Try to use good sentences, use all tenses, pronounce words correctly and show confidence by maintaining regular eye contact. For Writing - Structure your Letter and Essay properly by using at least 3 paragraphs in the letter (for general training) and minimum 4 paragraphs in the Essay. The essay has maximum marks so do focus on that. Also give examples for your arguments. Listening and Reading - Is pure practice. Just practice as much as you can, try to use additional sample exams and it should help. Having recently sat my IELTS exam I now realise how difficult and pressured the situation can be. I am a native speaker and passed with an overall band score of 8.5. I will also admit i would not like to sit the test again as i found it an awkward experience. underline key words and think of synonyms for that word. Read first paragraph and the first sentance of every other paragraph, then read the questions. (check time and go to the toilet as you do not want to eat into your writing time). Start on task 2 as it carries twice as many points as task 1. I wrote the full writing exam in pencil and also in capital letters. I did not write the full 250 words for task 2, I probably got 215 words down on paper and still achieved a band score of 8. Task 1: Write a letter to a hotel manager asking for thr use of one of their function rooms, state whatthe room is for, ask for something to be included in the room and ask about a food menu. Task 2: Some people think more roads in city centres are the answer to cities congestion problems, what's your opinion. I have understood that its not how brilliant your ideas are how you prove them with short sentences and by using joining phrases.. how do you plan the whole task 2? My advice to everyone is to keep on practicing. Listening and reading can only be practiced by you ownself. So be sure to have sufficient time to focus on these tasks. Moreover, writing can only be improved with the help of an English tutor. There are many blogs whom you can ask for essay correction. Last but not least, speaking exam will be enhanced through a number of ways. You can read newspapers or any English academic texts, listen or watch news, and speak the medium almost everyday. I just read your comment on IELTS buddy and you were saying that "there are many blogs to whom you can ask for essay correction". Can you, please, give me at least 1 blog like this? I have been looking for one of these for a long time. Thank you. I hope you all are doing well.. I have recently appeared for the IELTS exam in December 2013. So would like to share some tips for the exam. 1) Before actually preparing for the exam, you should start reading newspapers, novels etc. 2) You should start watching English movies. If you are new to the English movies then start listening to the short conversations in English on you tube. It will definitely help you a lot. Before practicing for the IELTS exam for academic, I started following these two points which helped me a lot to score band 6.5 in IELTS. In every module I got band 6.5. Wondeful tips to start with the preparation!! There are so many different tips and strategies depending on your level and the different parts of the test so it's difficult to list them here - there will be too many. 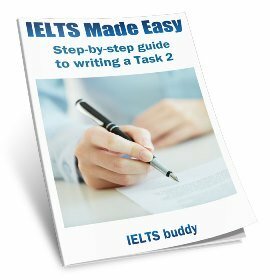 And it may be worth going through this page which has IELTS Lessons - if you do not have much time, look for ones that will be most helpful to you. Cannot get above IELTS 6.5 - how can I motivate myself? I have received my ielts test results this morning and i got a 6.5 on writing part for the 13th time. I really do not know what to do? I payed attention on every segment important for achieving band seven, but again 6.5. I have been studying for the ielts academic version for more than two years period and I really have become desperate and do not see reason to continue something which seems to me unachievable. Can you please give me some advice or motivation to continue with my further studying? Comments for Cannot get above IELTS 6.5 - how can I motivate myself? Failure is part of success. There is a reason for everything. I suggest you to keep your spirit high! Focus on the experiences you have gained every time you have taken the exam. Use these experiences to become a more improved you. There are a lot of resources you can find on the internet about the IELTS like http://www.ieltsexamstips.com. You can enroll in the best IELTS review center in your area so that you will have proper guidance. If you are always getting 6.5 then it is probably too many errors in lexis and grammar. Another thing to consider (part of lexis) is spelling errors. Do you spell at least one word (even little ones) incorrectly in nearly every sentence? I am completely new to IELTS exam. Can someone provide a general outline on how should I plan myself to prepare for this exam? I have booked to appear for this exam in the month of Dec 2015. Currently, am working so how many of hours of preparation should be good enough? What study material I can follow? 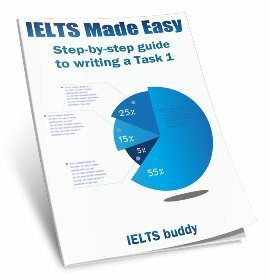 Comments for How can I prepare for IELTS? contribution to How can I prepare for IELTS? Too often test takers especially first timers tend to toy with the test by not preparing well. Let me advice, you need to carve out 2 hours of your daytime practicing. not only that make maximum use of weekends if don't work on weekends. IELTS to me is like a game,before you perfect yourself with a game you must learn. First, you fumble with the tricks the game presents,you will often be defeated if you don't know the simple trick on how to apply the rules of the game so the same applies to IELTS. I started practicing 5-6 months ahead of my test month. Immediately I feel satisfied with my level, I booked the test. I am pretty sure I will get a good grade. Thanks to this site. Nobody will use this site and won't do well. so take time and prepare a balance time table between your practice time and work time. 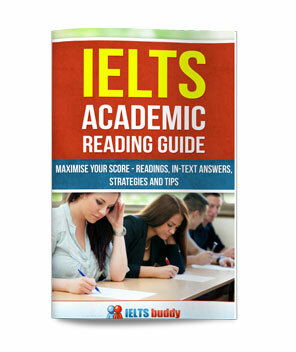 My IELTS scores were : Reading:8.5. Listening:7.5. Speaking:7. Writing:7.5. Best resources you can get are on youtube. For listening, do alot of listening practices on youtube. 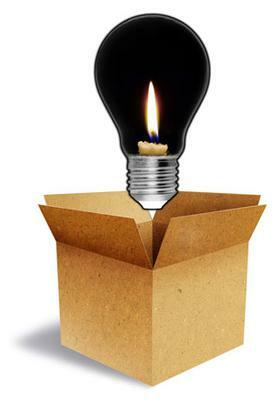 The resources are inexhaustible. Watch speaking videos too on youtube. For writing and reading, there are sites that have sample writing questions and suggested solutions too. After register in you also have access to some online free resources from the British council. The resources available on the internet is inexhaustible. The keys word is PRACTISE! PRACTISE!! PRACTISE!!! No matter how talented you are - good speaker, writer, reader or listener...you cant score good until you practice daily. practice is very important for good score in ielts. Can you advise me how to get a band 7? I have scored overall 6 and I am not satisfied with my result. I am looking for some tips that can really help in my academic growth and could score each band 7. Can any one please suggest me about the routine and the ideas about the practice? I have only 13 days left for my test. Comments for Can you advise me how to get a band 7? Guildlines for getting band score 7 or above. I think you should spend specifically 3 hour daily for every section to boost your score. well done . One important thing always keep in touch with English like you are a foreigner. I found this presentation useful. It lists all the free official IELTS resources in one place. These practice test and preparation materials are published only by the official IELTS companies: IDP, the British Council and Cambridge University.